Tis the season for chapped lips, frizzy hair, dry hands, and dull skin! Although this seems to be the norm, this doesn't have to be you this season! Harsh winter weather can seriously throw off your beauty game, but these 5 beauty hacks will keep your skin feeling soft, healthy, and alive no matter the weather. We've got your back babe. Try these 5 Simple Winter Beauty Hacks. 1. Apply hand cream before you go out in the cold. The worst part about winter is getting gas, and of course, forgetting gloves! One thing I don't allow myself to forget before going out in the winter is applying hand cream. I find if my hands are layered with lotion they are protected and won't crack...so far this hack is gold. 2. Apply your body lotion in the shower. Let your skin absorb as much water as possible by applying your body lotion in the shower. Once your done showering lightly dry the skin so you're not drenched and apply your lotion. I like to wait a couple of minutes before applying clothing. 3. Apply lotion to feet then put on cozy socks. Avoid nasty dry, cracked feet by applying your lotion on your feet (sit down for this you don't wanna slip and fall like me) and then put on cozy socks so you're not skating around the house after. Depending on how dry your feet are, use this have 1-3 times a week. 4. Lip scrubs are a must. This hack can get you through the worst of days, crack free! 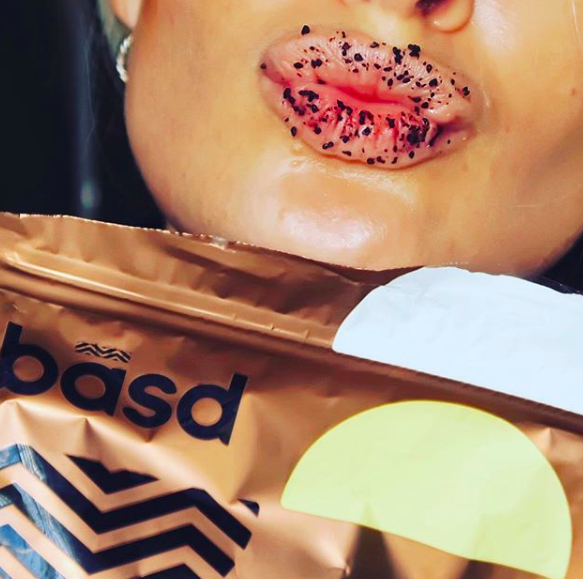 I love using basd coffee scrub 1-2 times per week (depending on how much I actually leave the house). Be sure to use a scrub that has oils in it so that you're also hydrating your lips. Everyone loves a good two in one. 5. Scalp Treatments. Itchy scalps are the worst...dont even get me started on dandruff! To avoid these winter perks (catch the sarcasm) I love using a conditioning mask that has active ingredients that nourish the scalp. I find doing this once a week helps a lot but if you're an overachiever two times is golden. My fav right now is Graydon's Hair Smoothie. I love this one specifically because it's infused with the essential oils parsley, sage, rosemary and thyme that stimulate healthy hair growth.